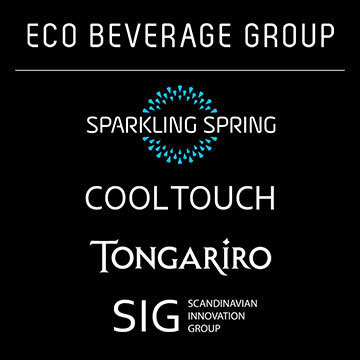 SPARKLING SPRING is part of the international corporation ECO BEVERAGE GROUP. SPARKLING SPRING represents the Finnish manufacturer COOL TOUCH and acts as an international operator providing leasing and maintenance of innovative equipment for safe consumption of drinking water. SPARKLING SPRING offers an innovative new generation of drinking water equipment COOL TOUCH. This is the safest, cutting-edge solution for providing offices or industrial premises with clean drinking water. This equipment offers carbonated water (CO2), cooled water (10°C) and hot water (92°C). The COOL TOUCH equipment, which is supplied by SPARKLING SPRING, uses innovative technologies to provide 100% safe drinking water. COOL TOUCH equipment is energy efficient, environmentally friendly, and comes in an elegant design, with an automated service process and guaranteed regular maintenance. SPARKLING SPRING also offers other products to satisfy their clients' needs. SPARKLING SPRING is an international expert team with over 15 years of experience in the drinking water supply industry.